“Whether your vehicle of choice races across the asphalt or soars through the sky, it’s time to start your engines and get ready for the 2nd Annual Wings & Wheels Fly-In in beautiful Wakulla County! This year, the Wings & Wheels Fly-In is being held in conjunction with the 53rd anniversary of the Wakulla County Airport in Panacea. The airport was established in 1963, and has served as a hub for general aviation needs in Wakulla County for many decades. While the Wings & Wheels Fly-In is still a relatively new event, members of the community hope that it will become a lasting tradition where the public can gather and learn more about classic cars, small aircraft, and have a fun afternoon in the great outdoors of Wakulla County. Aviation enthusiasts of all ages will have a chance to get up close and personal with some amazing aircraft, and there will be numerous educational displays set-up so everyone can learn more about flying. There will even be drawings for chances to win free airplane rides, so you can admire the natural beauty of Wakulla County from high in the air. And if you have kids in your group, don’t forget to remind them to look up in the sky at 1:00 pm for a special surprise. Automobile lovers have a chance to get in on the action too. A series of awards presentations begin at 12:00 pm, starting with the antique car awards, and moving on to the classic car awards and finally the motorcycles. There will also be fire truck equipment and RC models available throughout the day for the kids to check out. 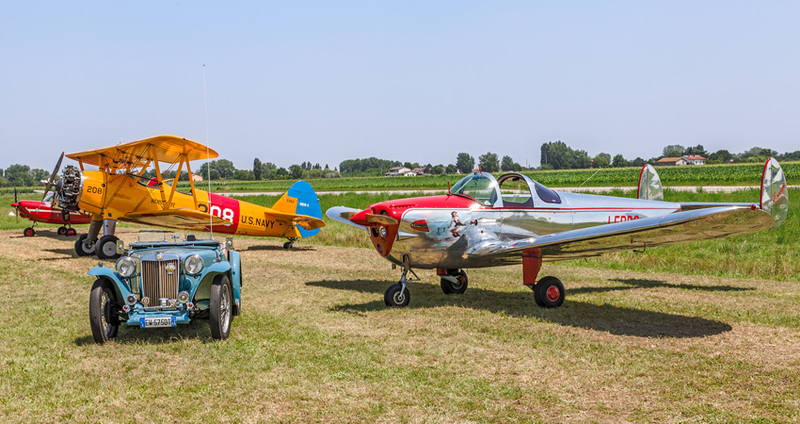 Once you’ve had a chance to see all of the various aircraft and automobiles that will be on display at the Wings & Wheels Fly-In, there will still be plenty to do. You can get some exercise by participating in the 5K run or 1-mile walk, partake in the delicious Smoke ’N Fire Invitational BBQ Cook Off, or simply enjoy some of the great live music that will be playing throughout the event. No matter which kind of vehicle you use to get here, you definitely don’t want to miss the 2nd Annual Wings and Wheels Fly-In in Wakulla County! And if you’re from out of town, there are plenty of great accommodations in the area, so you can make a weekend trip out of it.